Shangri-La Plaza is one of my favorite shopping mall in Manila. 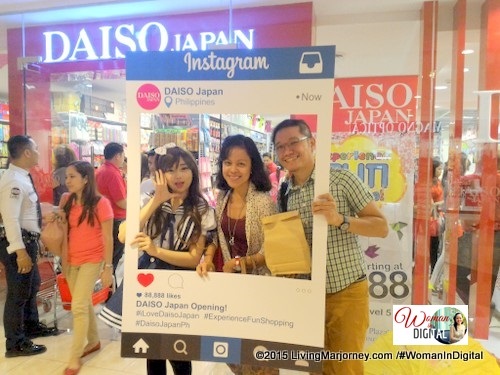 So I was delighted when Daiso Japan Philippines opens its store at the mall. 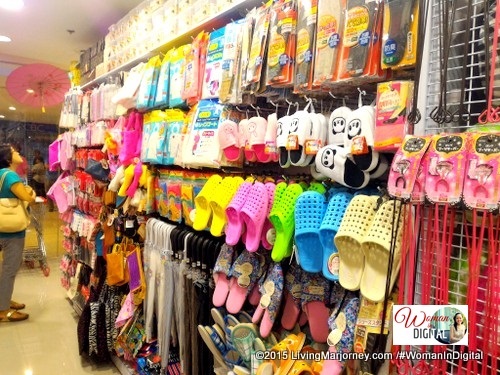 I went there during the opening to purchase some of my favorite items in discounted price. Guess what's inside my shopping basket? Let me take you to a photo tour. Coming from Customer Love Fest in New World Hotel where our Digital Circles Asia participated as one of the exhibitors, we braved the late afternoon traffic going Shangri La Plaza. But instead of taking the usual Uber Manila (#UberMarjorieUy use my promo code and get P200 on your first ride), we made it just on time by taking the MRT. Before anything else, allow me to share my most recent fashion finds at Daiso. 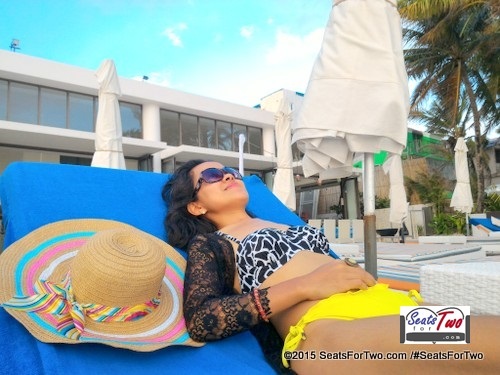 I lost the black and white hat (I also bought in Daiso) during our visit in El Nido so I have to get another pretty hat in Daiso Trinoma branch for our trip to Discovery Shores Boracay. Isn't it pretty? For P88 you get a pretty nice hats and hair accessories that costs P250 and up in most department stores. Value for the money, right? That's what you call budget shopping. From outside, I already saw a lot of shoppers. They seemed too excited. 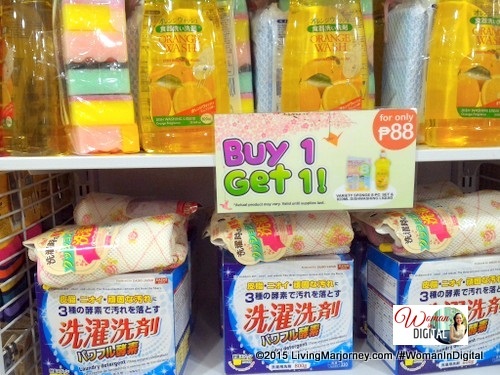 I already spotted Buy1 Take1 on dish washing liquid soap and detergent powder. My all-time favorite items are the kitchenware, cute spoons, tea cups which I use for instagramming purposes, lol. 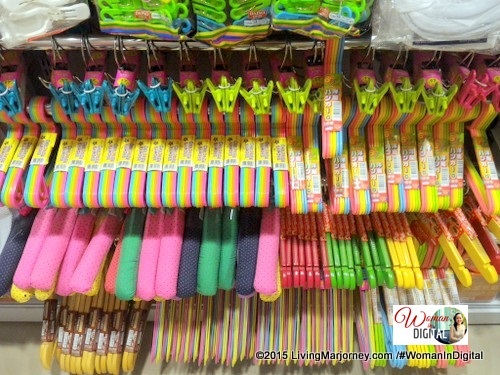 I find Daiso's pretty and colorful hangers durable as well. But did you know that they also have food items? 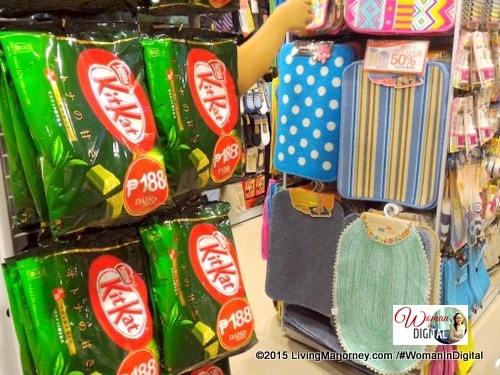 These KitKat chocolates are on sale at P188. 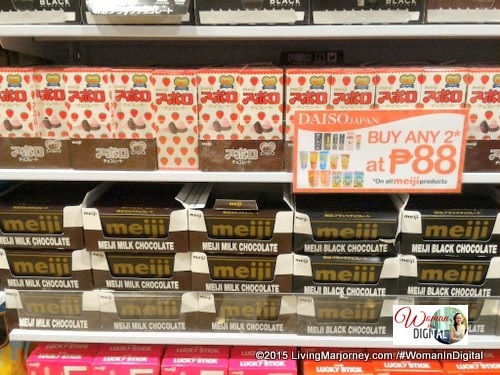 There's Meiji chocolates too sold at 2 for P88. But I have to skip those chocolates. 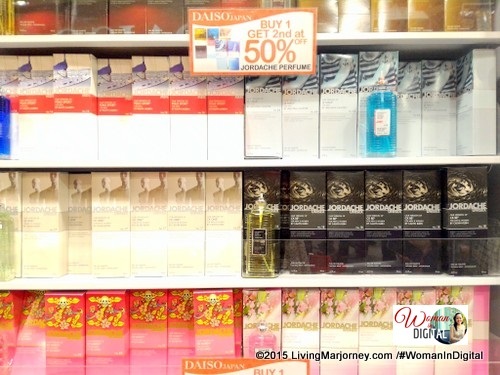 The doormats were also on 50% off, perfumes at Buy1 Take1. 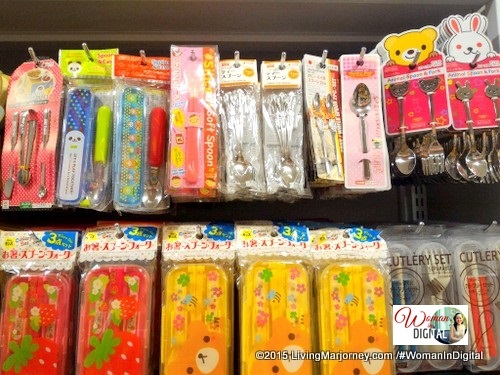 These lunch box and bento sets are too hard to resist. 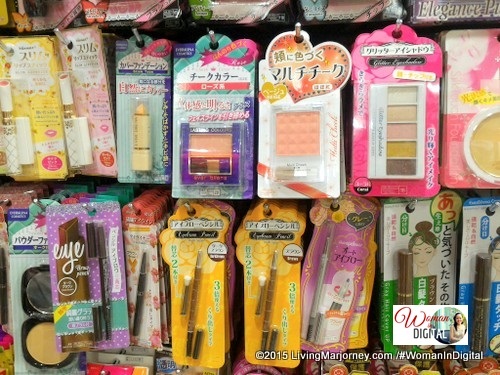 My fashion finds are the Korean makeup products. 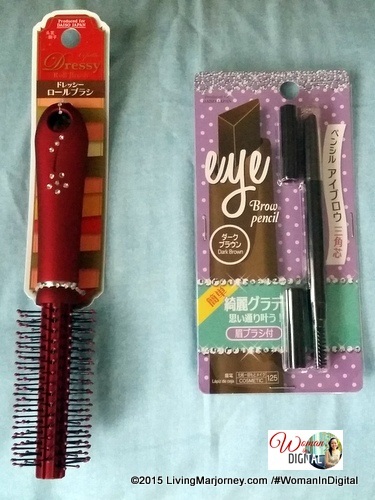 I bought this eye brow pencil at P88 and a new red hairbrush for my short, curly hair. From time to time, I would visit Daiso to check if there are new Japanese kitchenware, plates and pretty teacups. 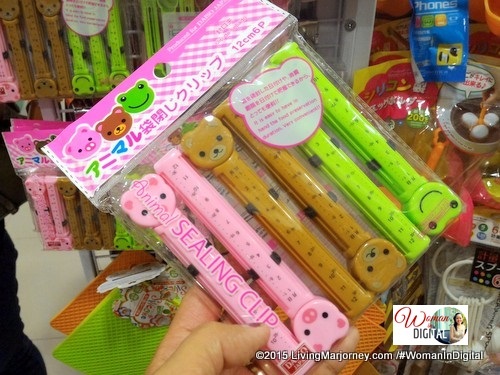 Last June, my sister, niece Bianca and I did our Back-To-School shopping, yes Daiso Japan has kid-friendly school supplies too, read my review and school supply finds here. I will definitely come back at Daiso Japan Shangri La Palaza.